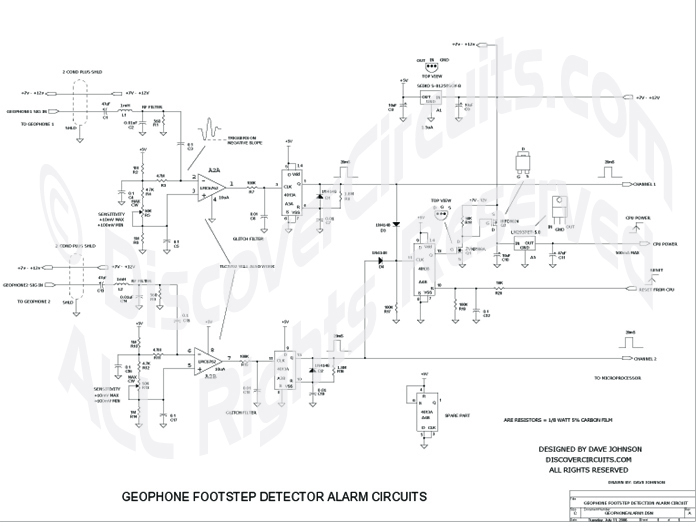 Circuit: Human Traffic Footstep Alarm__ Circuit designed by David A. Johnson, P.E. This circuit processes the Amplified signals from the footstep detector circuit and activates a microprocessor when the circuit detects footsteps. At has an adjustable sensitivity.